SAN ANTONIO - A new indictment filed against an area rheumatology specialist names his wife and two of their office employees in a health care fraud and money laundering case alleged to fund the doctor's "lavish and opulent lifestyle." Dr. Jorge Zamora-Quezada was arrested in May on charges of conspiracy to commit health care fraud, health care fraud and conspiracy to commit money laundering. The Federal Bureau of Investigation has said Zamora-Quezada administered chemotherapy and other toxic medications to people based on false diagnosis to collect payment from insurers. Prosecutors have said Medicare was among the agencies overbilled $240 million in the scheme that they claim lasted nearly two decades. 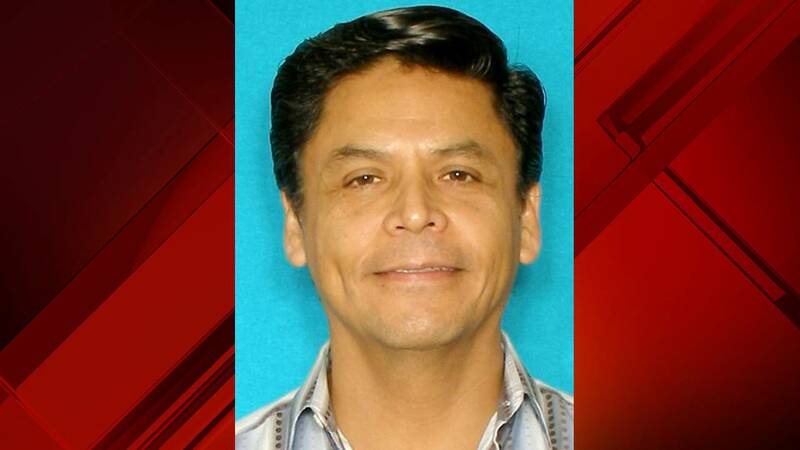 In the weeks after his arrest, investigators said they had spoken to as many as 3,000 potential victims who were treated by Zamora-Quezada at his offices in San Antonio or the Rio Grande Valley. Last month, his wife, Meisy Zamora, was arrested on charges of conspiracy to commit health care fraud. On Tuesday, the couple were named in a superseding indictment (SCROLL DOWN TO READ THE ENTIRE DOCUMENT) along with Estella Santos Natera, the medical office billing supervisor, and Felix Ramos, who managed Zamora-Quezada's financial affairs. All are charged with conspiracy to commit health care fraud, health care fraud, conspiracy to commit money laundering and conspiracy to obstruct justice. Prosecutors said the conspiracy started in or about 2000 and went through this year, with Zamora-Quezada falsely diagnosing "vulnerable patients, including the young, elderly, and disabled from the Rio Grande Valley, San Antonio and elsewhere, with diseases such as rheumatoid arthritis and other auto-immune diseases," the indictment said. It identified 19 alleged victims by their initials who received "infusions and/or injections containing chemotherapy and other toxic medications to patients, including patients who had been falsely diagnosed with various diseases, including rheumatoid arthritis." The patients received "fraudulent, repetitive, and excessive medical procedures" while Zamora-Quezada and Zamora "directed staff to increase the number of patient office visits and the number of medical procedures that were performed on patients in order to generate profits and pay the salaries of employees and co-conspirators," the indictment said. "After Dr. Zamora-Quezada falsely diagnosed patients, such patients became a source of substantial revenue, thereby funding Dr. Zamora-Quezada's lavish and opulent lifestyle," the indictment said. Patient records were allegedly kept from other physicians from whom patients of Zamora-Quezada's sought evaluation, as well as from Medicare, stashed "in an unsecured and dilapidated barn in the Rio Grande Valley," the indictment said. Zamora-Quezada, Zamora and Natera are accused of falsifying patient records to submit for payment to insurers, causing "Medicare and other health care benefit programs to remit payments of millions of dollars in proceeds" that went "into various corporate and personal bank accounts controlled by Dr. Zamora-Quezada and Meisy Zamora,' the indictment said. An estimated $240 million in claims were submitted, with Zamora-Quezada getting $50 million in payments, which the indictment said the doctor and Zamora would use to buy private jets, luxury vehicles, high-end clothing and real estate throughout the United States and Mexico. Those items, the indictment alleges, were bought by Zamora-Quezada, Zamora and Ramos to conceal the fraud, in some cases using a shell entity. In addition to naming new co-defendants, federal prosecutors said they plan to seize more than a dozen properties in Texas, California and Mexico, one Maserati and one twin-engine jet. Zamora-Quezada and Zamora are being held without bond. They are scheduled to appear in court for an arraignment on the new charges next week. Ramos is due in court Thursday. It was not clear when Natera would appear in court on the charges.